Who said you had to be flexible to practice yoga? Yoga Flow is for everyone! Do you want to relax after a long day or simply stretch to increase your flexibility? Nobody is an expert, except the instructor! You go at your own pace according to your own limits. No judgment! Immerse yourself in peace and relaxation after your 50-minute session. For everyone ! A 50-minute session where the focus is on your breathing and the sequence of different yoga postures. Coordinating breathing and movement is the main goal of yoga flow. Everyone goes at their own pace and focuses on their breathing while trying to maintain the posture. 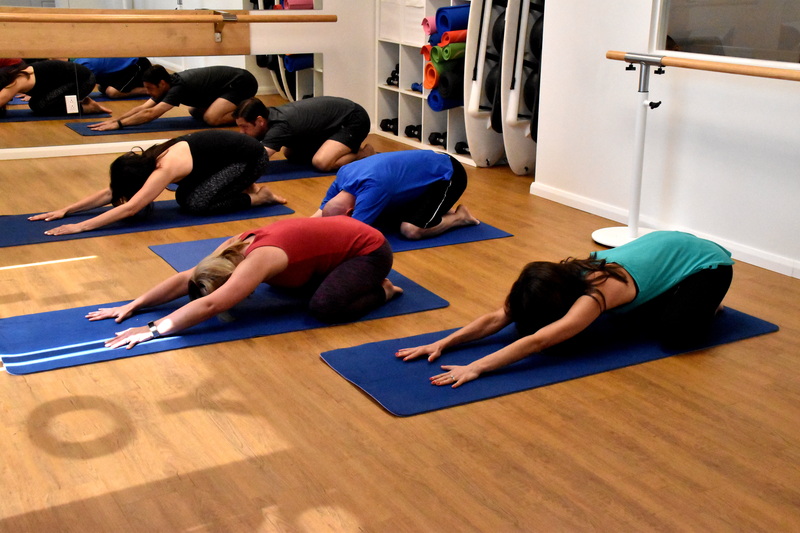 Practiced regularly, yoga flow brings several benefits, including the power of relaxation, the ability to eliminate toxins, improving your flexibility, an increase of stamina and many more. A 50 minute session that focuses on long stretching, combining slow and deep breathing. Characterized by postures held for several minutes, Yin yoga allows to work the whole body and mind and to promote relaxation. By holding the poses longer, you will be able to reach a calm and an unparalleled level of concentration which will allow you, during the sessions, to learn how to clear your mind. Treat the discomforts of pregnancy with yoga! It is unavoidable, the joys of pregnancy are also accompanied by many discomforts, starting with back pain. With the weight of the baby, the pregnant woman tends to arch, and therefore suffer from lower back pain. Yoga will be perfect for stretching your spine and giving more space. This workout aims to strengthen the back and rebalance your posture. It is not uncommon to suffer from circulation problems during pregnancy. It is often in the third trimester that venous return is less successful. The practice of yoga will tone the muscles and boost the lymph to provide a feeling of lightness, really welcome in case of heavy legs. (Excerpt from the Doctissimo website). Accelerates postpartum recovery: strengthening of the perineum, firming of the deep abdominals and relaxation of tension in the back, shoulders and neck. Offer a special moment with baby 50-minute session in small groups of 6-8 moms/babies. No previous yoga experience required. Mats and water available at the studio.